I looked through the list of upcoming projects and found that by my sheer luck, I can participate in the next few without having to buy anything! YAY! This is rather important now, because my dear Data, my laptop of six years, is no more. So money must be put aside for that. Luckily I already bought the fabric for some of the upcoming challenges. 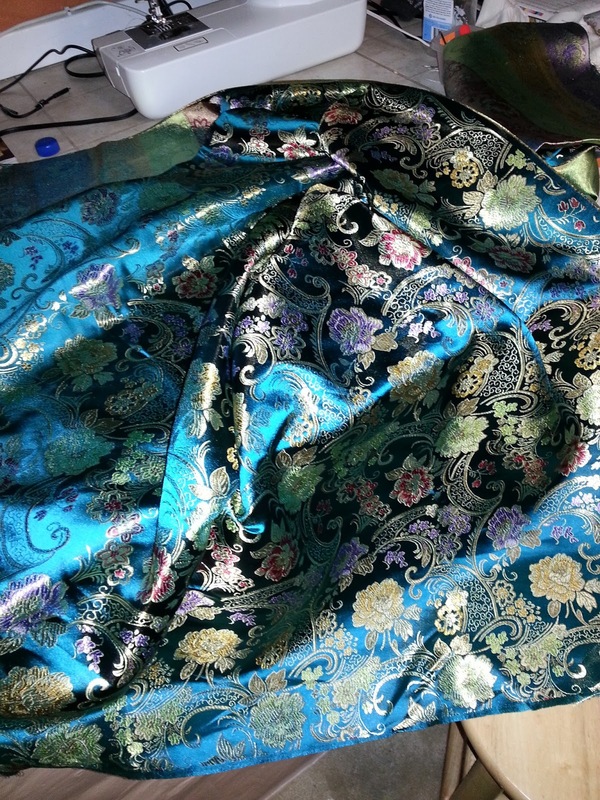 I went digging through all and found this pretty fabric. The original plan had been to make an awesome fantasy princess gown. 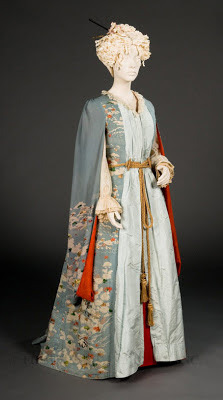 But the image I have in mind, requires more fabric then I possess. So back to the drawing board, sorta. Looking through the Pinterest for the challenge, I found this. 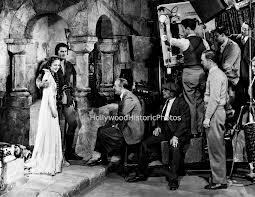 The first is from the Adventures of Robin Hood with Olivia de Havilland and Errol Flynn. 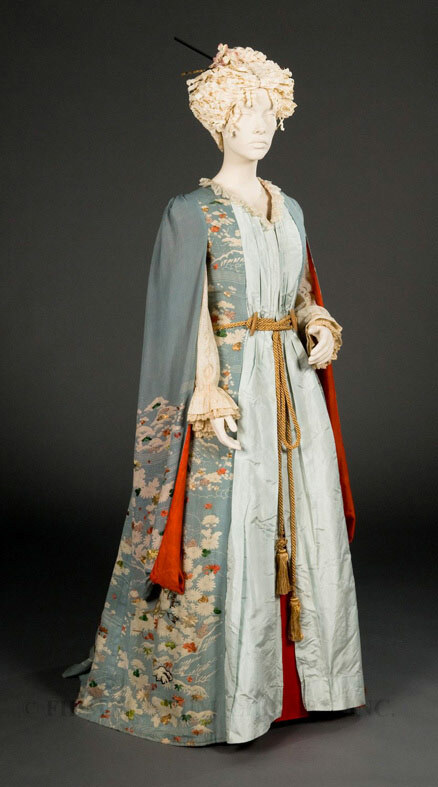 It was the only full length shot of the dressing gown for the love scene I could find. 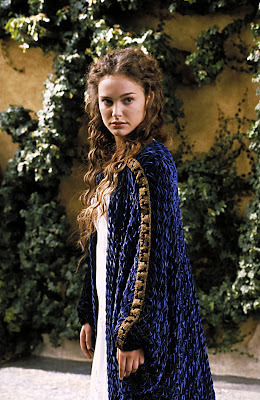 The second is of Padme Amidala from Attack of the Clones. 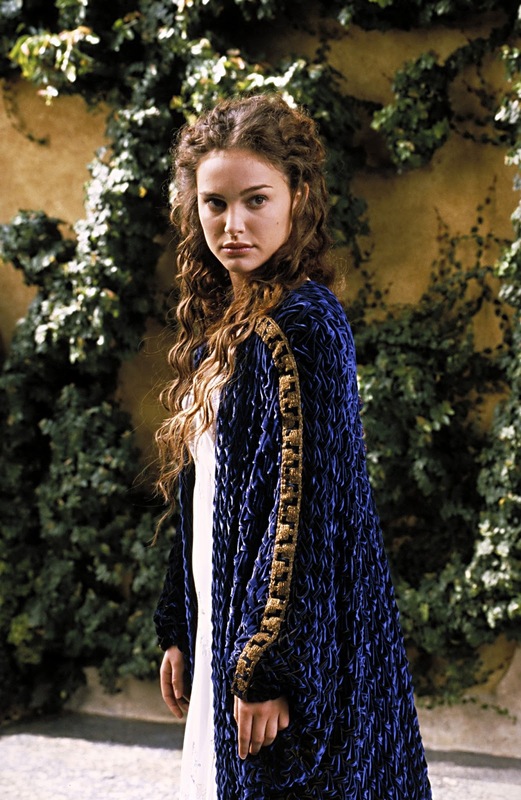 Image is from Padawan's Guide. Ooooo yay! I love sewing plotting. Now on to the red petticoat!